This is a great book from my friends and colleagues Sara Knowles and Andrew Thorp. 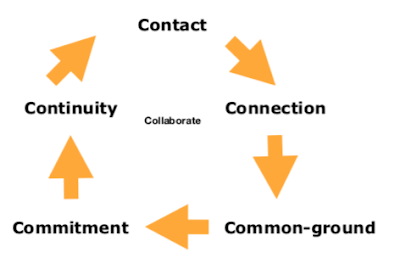 The Art of Connection is about how we can communicate more effectively in business, both on the outside (marketing) and on the inside (with our employees). It advocates a 'story-based' approach and a more humanized form of communication that people can relate to, leading to more clients and a more engaged workforce. I highly recommend it as another great resource to help you become a Storyteller of Significance, one of the 5 key roles of a Change Champion as mentioned in my previous post. Use things like speaking platforms, networking and social media to build influence and pulling power. It's very much a practical guide to both face-to-face and on line communication, told through the prism of Sara and Andrew's experiences of building a business (and a network) over the past few years. You can get this e-book for less than the price of a cup of coffee! As a FREE TASTER for the 'main course', click here for some sample sections. To enjoy a FULL COPY of the book, click here.